A glorious book bursting with magical artwork. 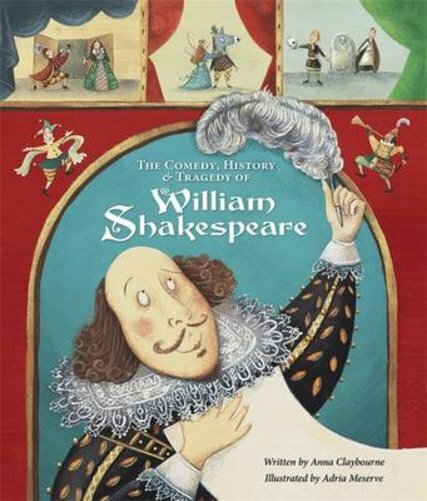 Shakespeare’s life, his Tudor times, his great works: read about them all here! We bet you love a good film or TV programme. But what did people do before they had that? Well – luckily they had William Shakespeare, the greatest playwright of all time. His plays include Hamlet, Macbeth and Romeo and Juliet. (You can read twelve of them here in short summaries.) Plus, his real life was almost as eventful as his action-packed plays. Step into his world to explore bustling Tudor London and the world-famous Globe theatre! Beautiful pictures, fun facts and lively play summaries make this book a must.